We often don’t think about our pet’s teeth or mouths until their breath starts to smell. Then immediately we say, “Ew! Your breath stinks!” Chances are, if your pet has bad breath, he has gum disease. Since February is pet dental health month, we wanted to focus on that and point out some tips for caring for your pet’s teeth. First of all, many adult pets have some form of periodontal disease. It’s not at all uncommon, but it can be prevented. Make sure that you’re taking your pet for his annual check-up. At that the veterinarian will check your pet’s mouth for signs of disease, like reddened gums or yellowish tartar build up. Use a pet-specific toothpaste. People toothpaste is NOT safe for pets. Try just giving them a taste of the toothpaste first. If they seem ok with it you can either go straight for brushing or work up to it over a series of days. 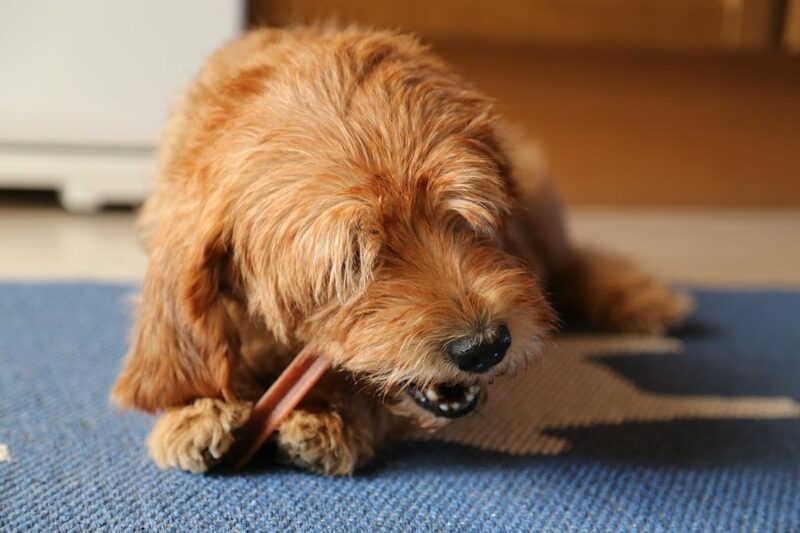 For dogs, use a soft-bristled toothbrush. For very small dogs or cats, consider an infant finger brush or even a piece of clean gauze. If your cat is wiggling too much, you can always wrap him in a towel. Provide your pet with a special treat after their cleaning. Don’t make a big deal out of it. If it doesn’t work, there are plenty of treats and toys that can help keep your pet’s teeth clean. Look for the Veterinary Oral Health Council seal on products. Consider non-abrasive balls or chew toys, treats like Greenies Dental Treats or other hard treats for cats, and soft toys that cats can chew on. If you notice a change in your pet’s teeth or mouth or even their eating habits, make an appointment with your vet. Some symptoms of gum disease include: yellowish tartar build-up, red gums, bad breath, bleeding, drooling more than usual, a change in eating habits or pawing at their mouths. Any of these can signify an issue with their teeth or gums that needs to be dealt with right away! If you need help picking out toys and treats to help your dog or cat’s gums, just ask! When it comes to caring for your pet’s teeth, we can help!